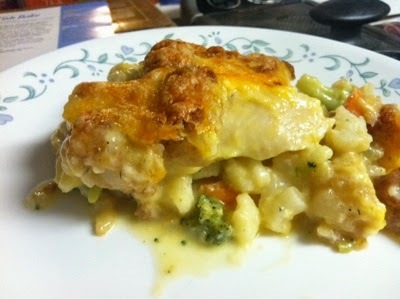 Here is another Pampered Chef recipe, Tater Topped Fish Bake. The recipe calls for Orange Roughy as the fish. The local grocery store did not have any, the guy behind the fish counter said they have not had any for 6 years. I guess this fish was exploited and over-fished. So I ended up going with a different fish. I ended up using Swai. So how did this recipe turn out. It was good. It had a crunch on top with the tater tots and cheese, with creamy fish and vegetables. I would make this again. We are in the Lenten Season, which means more fish dishes in the next few weeks. This post is going to be shared with, Inspire Me Monday/Friendship Friday, Creative Friday, Friday Finds, Making Your Home Sing Monday, Masterpiece Monay, What'd Do This Weekend, TOO Cute Tuesday, Tuesday Table, The Gathering Spot, Wednesday's Adorned From Above, Full Plate Thursday, Best Of The Weekend, Welcome To The Weekend, Sharing Saturday, and Link Party Palooza. Labels: fish, Pampered Chef, recipe, tater tots. Hi Julie! Thanks for the fish recipe. I'm always looking for enticing ways to prepare fish. I can't wait to try it. I'll probably use yellow tail or dolphin for this. Pinning! That looks yummy! I am your neighbor at Friendship Friday linkup. 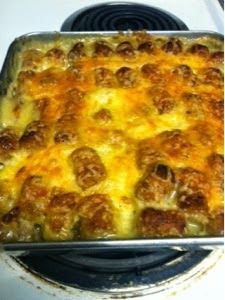 Your Tater Topped Fish Bake looks wonderful! Hope you are having a fantastic week and thanks so much for sharing with Full Plate Thursday. This looks delicious. Thanks so much for sharing with Adorned From Above's Link Party. Look for the new party up tonight.